It’s better to join three rising impulses into one than to have several initial waves. It looks like the price is forming the second wave at the moment. In the near term, we can expect the correction to continue. After it is finished, the price may start growing again. 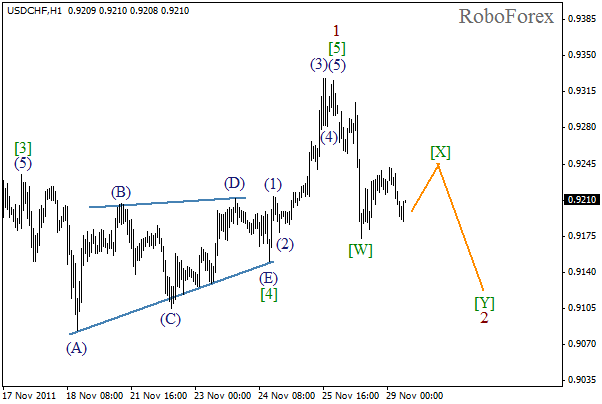 As we can see that on more detailed wave markings, which are shown on the H1 chart, wave  has taken the form of horizontal triangle pattern. 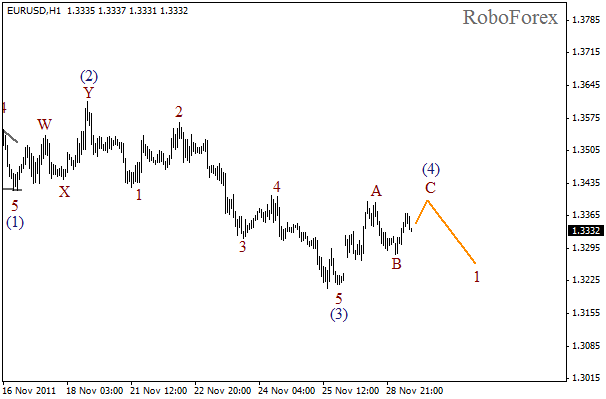 It was the main reason why we joined three bullish impulses into wave 1. 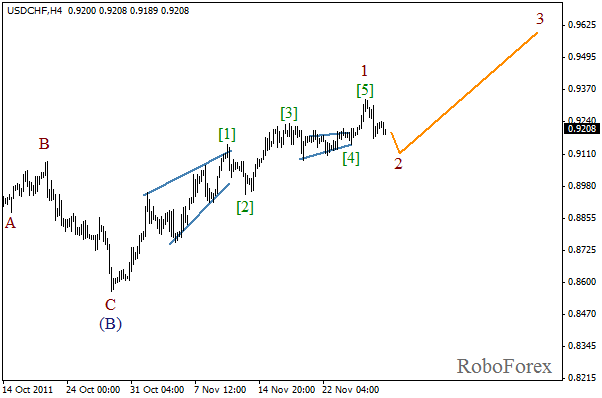 Currently the price is forming wave [X] inside double zigzag pattern of the second wave. During the day we can expect the local growth of the price. 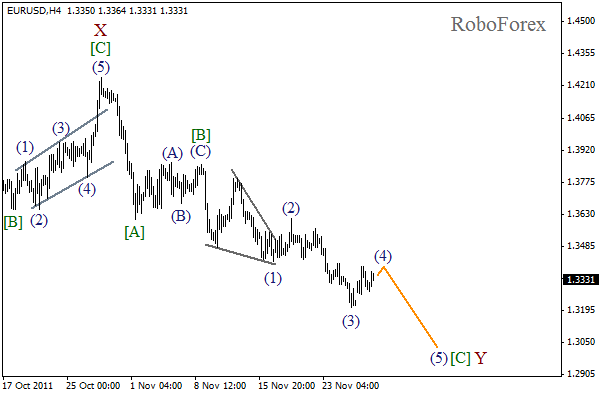 In case of Euro, the descending trend continues, and currently the market is in the fourth wave. There is a strong possibility that the correction may continue during the day. After it is finished, the price, most likely, will start falling down again. It looks like wave (4) is taking the form of a usual zigzag pattern with wave C being formed inside it. In the near term, we can expect the rising movement to continue, but after that the price may start falling down while forming the fifth wave.